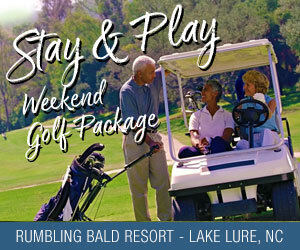 Durham, NC – October 19, 2011 – Traditional Golf Properties and a team of investors acquired Falls Village Golf Club in Durham, NC yesterday, expanding their cluster in the Raleigh-Durham market to three golf courses. Traditional Golf Management, based in Williamsburg, VA will be operating Falls Village along with their current area clubs: The Preserve at Jordan Lake (Chapel Hill, NC) and Chapel Ridge Golf Club (Pittsboro, NC). This acquisition brings Traditional Golf Properties portfolio to a total of 16 East Coast golf courses in Connecticut, New York, Maryland, Virginia and North Carolina. Falls Village members will now have reciprocal privileges at all Traditional Golf Clubs including special member privileges among the courses in the Raleigh-Durham cluster. “Traditional Golf Properties has achieved great success in regionally clustering clubs to maximize marketing and operational synergy allowing us significant growth opportunities. We hope to replicate the Virginia model where we have six clubs within a 50 miles radius and boast over 1,000 members” commented golf course General Manager Gene Fones. “Effective immediately our current members at Chapel Ridge and The Preserve will enjoy member benefits at all three courses here in the Raleigh market. Also, we have launched an aggressive membership drive that includes discounted dues at Falls Village for a limited time,” added Fones. “Traditional Golf Properties has always marketed itself as the best membership plan in the country and we are excited to see it coming to fruition in our market,” commented Fones. Traditional Golf Properties has immediate plans to improve the golf course and clubhouse facilities to give the members a premium experience at Falls Village. The first step will be over-seeding the Bermuda grass fairways with Rye to keep them lush and green in the winter months. Step two will be an extensive cleanup project of the undergrowth to enhance playability and the overall look of Falls Village. Finally, the clubhouse will be updated to better accommodate member activity with the addition of a members’ lounge. Falls Village Golf Club opened in 1999 and is located between I-40 and I-85 in Durham, NC. The William Daniel design stretches to 7,072 yards and a par of 72. The full-service golf facility includes a practice range, putting green, pro shop and grill room. Traditional Golf Properties LLC was formed in 2007 as a golf course investment and management company. TGP is a leading regional owner/operator of high-end semi-private and private golf clubs in the Mid-Atlantic. For more information about Traditional Golf Properties visit their website at www.traditionalclubs.com or contact Mike Bennett at 757.566.1138 or by email at mbennett@traditionalclubs.com. For more information about The Tradition Golf Club at Falls Village please visit their website at www.fallsvillagegolf.com or contact Gene Fones at 919-542-5501 x5 or by email at gfones@traditionalclubs.com .